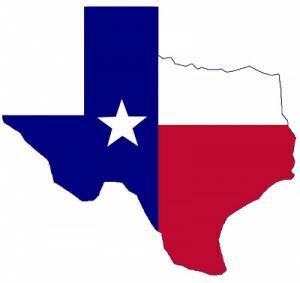 “Everything’s bigger in Texas.” That’s a very popular slogan that many locals are happy to share with out-of-towners. Usually, this will happen when someone is delivered a fresh piece of grilled steak that is as big as their head! That slogan can always apply to your home that is overflowing with junk. If everything is bigger in Texas then maybe you’ve got more junk than you can handle. What’s that doing for your home value? What about the value of your neighbor’s home? We’ve all seen “those houses.” You know the ones with the car up on blocks in the driveway. Or an above ground pool that hasn’t been used in years. Or old furniture sitting out on the porch. Does that describe your home? It doesn’t have to be that way; especially when there is experience help in the form of the pros at Junk King San Antonio standing by to help you get rid of all that junk once and for all. There are some folks who travel all around the country and the world and bring back all kinds of trinkets and treasures they are proud to put on display. But you don’t even have to leave San Antonio to get all kinds of junk piled up in your home. Sometimes that junk begins as leftovers from a home improvement project. Instead of hauling the construction waste off to a dump yard it gets piled up alongside the garage. There could be left over Cinco de Mayo party decorations that can never be used. Maybe it’s an old fridge that is totally busted but what can you do? You know you’re not supposed to put these things out on the curb. You might even feel guilty about tossing them out because you paid good money for them at one point. That’s true but ask yourself, “Are you ever going to use this junk again?” If the answer is a quick “no” then you know what has to be done. Get it gone! When you make the smart move to hire the professional junk haulers at Junk King, you’ll be getting some expert help. You might not think you need to be an expert to haul out a heavy piece of furniture but if you’ve ever thrown out your back then you know how important it is to “lift things right.” That’s what these experienced junk haulers will be able to do: move the right way. They’ll also have a big enough truck to hold whatever you’re tossing out. Even though the pick-up is the most popular truck in San Antonio, there is just so much that a pick-up bed can hold. Remember “everything is bigger in Texas.” So how big will your junk pile be? No matter how big, it’s going to be a distant memory once the pros get a hold of it! This entry was posted in Junk King San Antonio, San Antonio Furniture Pickup, san antonio hauling, San Antonio Junk Recycling, San Antonio Junk Removal and tagged get rid of junk san antonio, Hauling Professionals, san antonio hauling, San Antonio Junk Removal on May 18, 2012 by Mike Hasselbalch. Last updated August 2, 2017 .